If you’re a publisher, your authors are important to your business, and InOrder supports your compensation programs for the people who support your business objectives. Use InOrder to define and pay royalties to authors and agents. Contract clauses pay royalties based on dollar amounts, percentages, resolutions, or sliding scales and may even vary by date range. 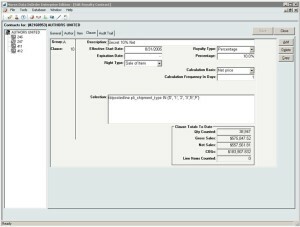 Define multi-clause royalty contracts with sophisticated filtering criteria when necessary using SQL Where clauses. Royalty statements, royalty check printing, and 1099s are supported. Royalty payables accrue as frequently as daily and statements with payments can be generated whenever necessary. 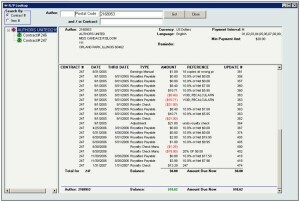 Royalty payables are kept separate from general InOrder Accounts Payable. Contracts can link to one or more authors and one or more inventory item. Advances and manual checks are supported. Contracts can be entered retroactively. Contact us to get your Royalties InOrder. We’re back from IRCE 2017 and as always, we’re excited about all the activities we saw and great people we met! Many workshops at IRCE 2017 focused on B2B topics. One workshop (Amazon & Me) provided details from experts about listing products and managing product content, whether to sell as a third party or first party, fulfillment, marketing on Amazon, analyzing data, and negotiating with Amazon. Another workshop topic was about using eCommerce for B2B opportunities, the future of B2B eCommerce, ideas for successful B2B eCommerce strategies, finding new customers, personalization, mobile B2B eCommerce, challenges, and even a critique of B2B websites. If you’ve been to IRCE 2017 or if you use InOrder, this might sound familiar. 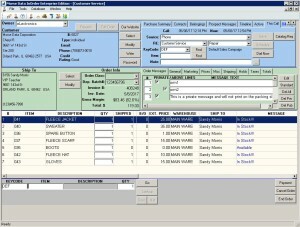 InOrder ERP has always supported B2B. Using InOrder, you can build rules and behaviors based on B2B vs. retail in terms of marketing, merchandising, pricing, picking / packing / shipping, customer service, and even contact management for follow-up efforts. For example, InOrder’s eCommerce module has a built in B2B web site for wholesale orders that can be accessed by your B2B customers. In addition, established business customers can immediately see and search inventory with pricing agreements reflected, and can use their lines of credit when making on-line purchases. Their shipping arrangements are even automatically applied to web orders. InOrder’s EDI with Customers feature can also be tied in for acknowledgements of web orders, carton license plates, and advance shipping notices. B2B customers want the same conveniences as retail customers do. They might not respond to “Call for Pricing” messages on your web site; however, they may be more likely to order when the pricing information is readily available. And they want other conveniences, like quick search results, pictures, and descriptions. They want easy reordering and if products are backordered, they need to know when to expect them. And once they log in to an established web account, they want personalized services, like the ability to see their negotiated prices and discounts applied as they shop on-line, with a presentation relevant to them. If you are a B2B company considering an eCommerce store, contact us to request a demo showing how InOrder can help you attract new business. Mobile fraud is on the rise, and, as is the case with your eCommerce shopping website, your mobile eCommerce site requires vigilance to protect your customers’ sensitive data – especially when processing orders. Be sure you have measures in place to reduce mobile fraud, and train your employees to recognize signs of fraud. Your ERP system can also be a valuable weapon against would-be thieves and costly credit card chargebacks from fraud attempts. Be sure you have these prevention measures in place to combat mobile fraud. To decrease fraudulent orders from being processed, use your ERP system to assess orders as they are received based on a variety of criteria known to indicate fraudulent purchases. This may include whether or not an item is considered risky, or even an area where orders are shipped. Simply knowing where fraud occurs can help protect your customers, so using address validation services is also helpful. Nobody wants to think that trusted partners are stealing from them – whether they’re shoppers, employees, or even vendors. But fraud and theft doesn’t only come from outside sources. 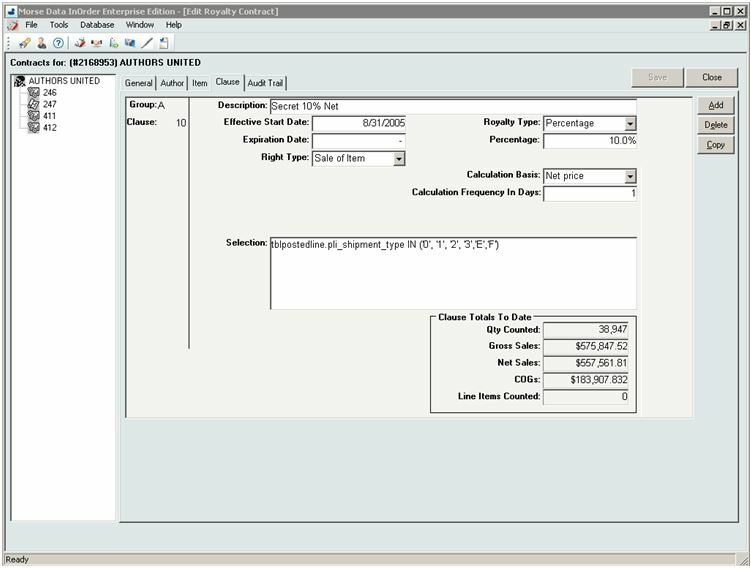 Check your ERP system’s audit logging for dates, user names, and tasks each user performs. This enables you to isolate and trace other types of theft, such as generation of bogus customer refunds, gift cards, or credit memos. 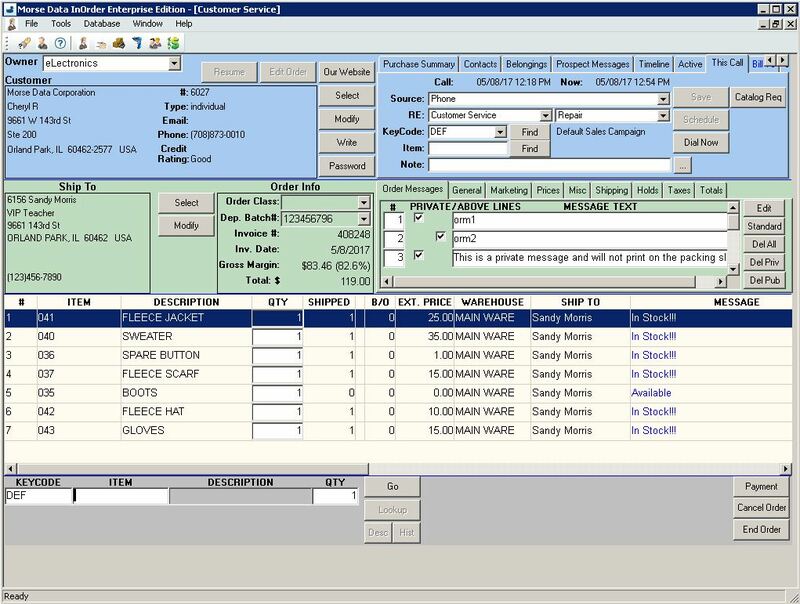 Your ERP system’s Purchasing, Payables, and Inventory systems are all connected, so you can compare what was ordered – to what was received – to what you are paying your vendors. The best eCommerce systems use responsive design for mobile web using Google’s recommended responsive design pattern. With this design, a single cart functions for both PC and mobile, with a similar look and feel, regardless of device size, no longer requiring multiple web sites. What this means for fraud protection is that you don’t have to worry about carrying out the same protection measures on separate systems. Your employees play a significant part in protecting your business against fraud and theft. However, if they don’t know what to watch for, what to protect, or how, then how can they help you? One way is to follow your procedures. Define a security policy, tell your employees about it, and train them on it. If you’re thinking about accepting credit card payments, you must make sure your system meets specific security standards to protect sensitive data. The PCI Security Standards website is a good place to start for information. If you currently accept credit card payments, you already know that your ERP system is PA-DSS-Validated to meet your PCI-DSS requirements. When you protect against fraud and theft, your employees, vendors, and customers discover that they can trust you. With their trust comes respect and confidence that your business will continue to grow. Use these measures to improve and protect your customers’ shopping experience, achieve their trust, and prove that you take them seriously. Contact us for a free demo of how InOrder’s eCommerce system helps combat eCommerce fraud and theft. 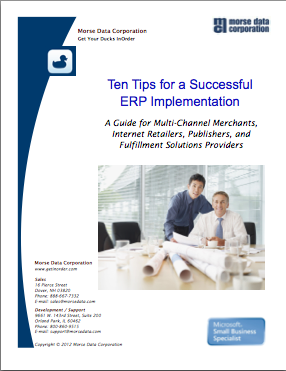 Does Your ERP System Allow Flexible Ordering to Prevent Frustration, Make Customers Happy, and Save You Money? When customers shop your web store, they probably expect the same flexibility they experience in a physical store. Policies such as returns, exchanges, credits, coupons, and even questions or changes during checkout may be common at a physical register, but can your customers get that same great service online? With a good ERP system, all of these features are available and within your control. Consider Mary, who shops online, enters her payment information, and submits her order. Then she remembers one small, inexpensive item she forgot to order. She quickly tries to add the forgotten item to her order, but she can’t find a way to do it herself. Mary looks for a Customer Service number – hopefully, if she acts quickly enough, she can add the item without a duplicate shipping charge. When she calls, the Customer Service rep is able to help her, but only by creating a new order and waiving the shipping charges. Mary is thankful for the help, but the Customer Service rep was apologizing for the inability to accommodate a seemingly simple request. And the business took a hit on the shipping charge (which was more than the cost of the item). Waiving a shipping charge is a small price to make a customer happy, but it isn’t necessary. This signifies a problem with the system, which can quickly become a significant expense. With InOrder, you can choose to allow orders to be edited even after packing. Having the right ERP system can prevent frustration for both customers and Customer Service reps, and saves you money. Whether you allow changes for shipping information, billing information, or line items for orders should be up to you – not your software. Call us for a free demo to see more of how InOrder can help your business grow.